THE Gatton and Marburg show societies are welcoming riders with a disability to compete in the ring during show time. Disability support worker Marilyn Stocks said she had the idea when she was working with a horse. "I was asked a little while ago to start training a horse and realised we don't have any disability classes in our shows,” she said. She approached the Gatton Show Society with her idea. 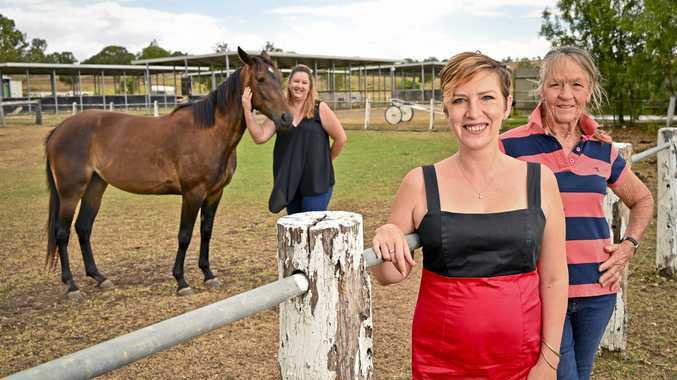 Gatton and Marburg show ringmaster Maxine Murphy said she was keen to include classes for riders with a disability in the shows. "You've got to cater to everyone, not just a few,” she said. Gatton Show Society president Katherine Raymont was also in favour of the new classes. "It gives everyone an opportunity to participate. I think the participants will get a lot out of being a part of the show,” she said. Izaac Brindley, 24, plans to participate in the Gatton and Marburg shows this year now there's a dedicated class for him. Izaac's hearing impairment makes competing in sports difficult. Even so, he loves cutting and is eager to show everyone what he can do on a horse. Izaac's mother Debra Koster said her son used to enter some of the other classes at the show. "These ones are better because it's more for people who are struggling a bit and there's a lot less pressure,” she said. The Marburg Show is scheduled for the weekend of May 11 and the Gatton Show will take place on the weekend of July 19.